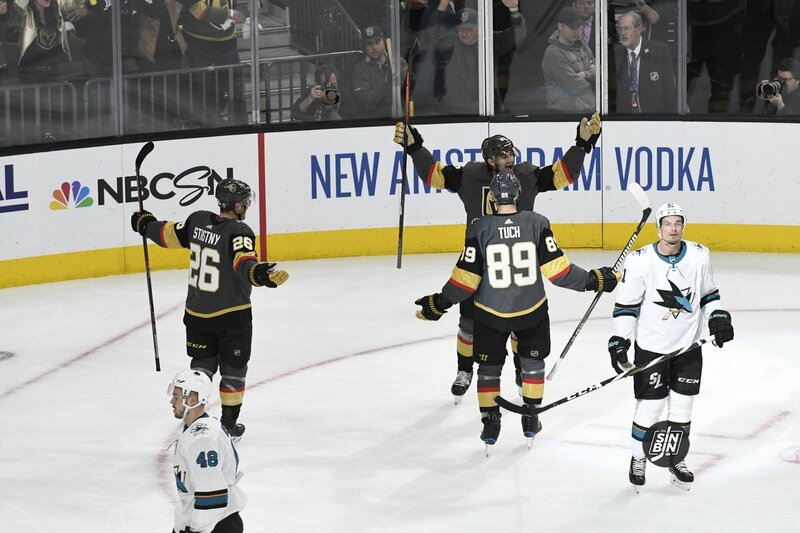 It’s a story that’s been told a thousand times over; how the atmosphere at T-Mobile Arena for Golden Knights games surprises even veteran players in the NHL. Recently though the story has almost become worn out as the same comments, same examples, and same quotes from players, coaches, and fans are muttered after each and every game. Alex Ovechkin to the rescue. The timing of the “Holy Jesus” quote was fortunate for me as it came just days before I was set to travel to Washington DC to experience the difference Ovechkin was talking about myself. Let’s start with the very first difference, specifically for fans. Getting to the T-Mobile Arena and walking through The Park is unmatched. DC’s set up actually is pretty nice as a train station arrives right on the corner of the arena, there’s a lobby where people were held before the gates open to escape the rain, and there’s a full sports bar attached to the arena itself. It’s nice, but it’s not Vegas. Then you go into the arena. The first time at a hockey game where the in-arena experience really begins is with the player warm-ups. In Vegas, they count it down, demand the fans get up and cheer, then play John Wick Mode followed by a club-style music mix that’s so loud it’s challenging to talk to the person in the seat directly beside you. Contrast that to Capital One Arena, where the lights are darkened, a minor light show occurs, the players take the ice and the music is softer than I listen to in my car. The same was the case in Anaheim and Dallas. Los Angeles may have actually outdone Vegas with this light show. The Winnipeg Jets came into Las Vegas having earned a point in each of their previous eight games. 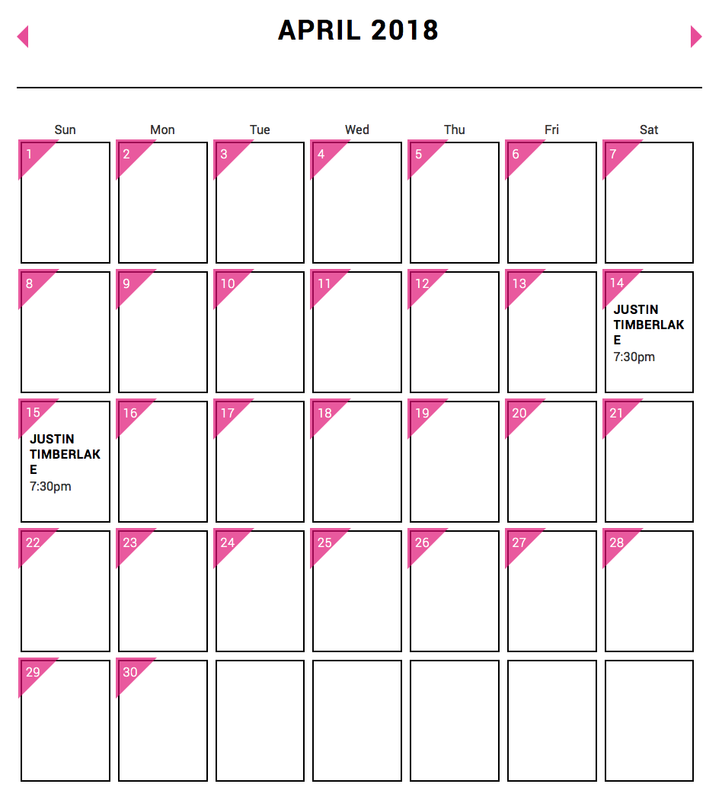 That stretch ended abruptly when they faced a team on a streak of their own. After last night’s 5-2 Golden Knights victory, Vegas has now won six straight games at T-Mobile Arena, something the Jets were aware of coming in. The Captain didn’t seem upset or frustrated, if anything, he was more impressed with the team he faced. Wheeler expected a strong effort from Vegas but wasn’t stunned by the loss. Looking forward, expect Winnipeg to be even more prepared for the Golden Knights. High praise, but for a team that’s now 6-1 in a building they’ve called home for less than three weeks, it’s probably warranted. Home-ice advantage isn’t something every team in the NHL has. In fact, every year about six to 10 teams have a losing record at home. With the Golden Knights spending most of their time at their posh new practice facility in Summerlin, it was almost to be expected that it would take a bit of time for things to feel like home at T-Mobile Arena. 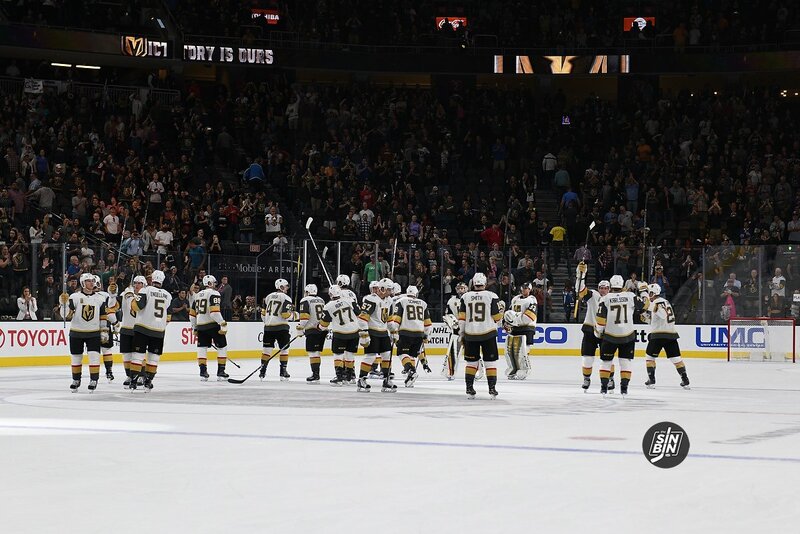 Throw in the masses of fans who were coming from Detroit, Buffalo, St. Louis, and Chicago and a case could have been made that the Golden Knights would never have felt at home. Through one homestand, that couldn’t be further from the case. 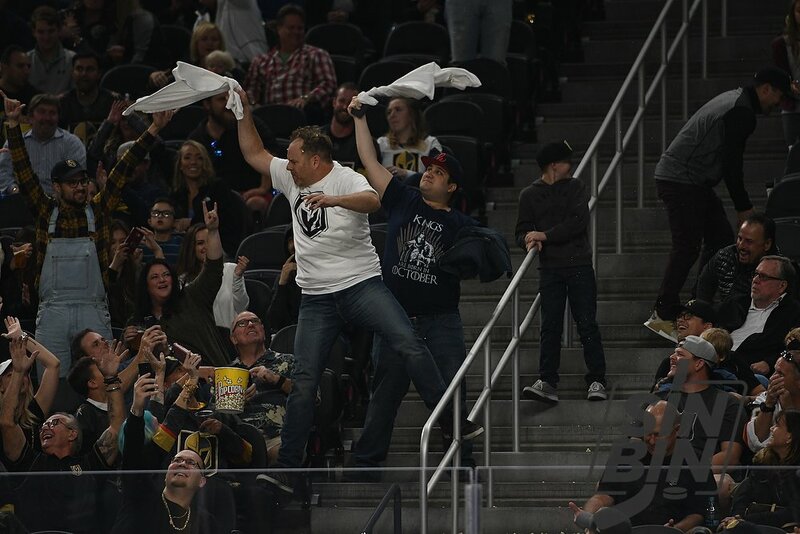 It might be the “Vegas Flu” opposing teams are catching (we’ve got an article coming on that too) but even if that’s the case, Golden Knights fans have made an impact on their new team, and the team has responded. 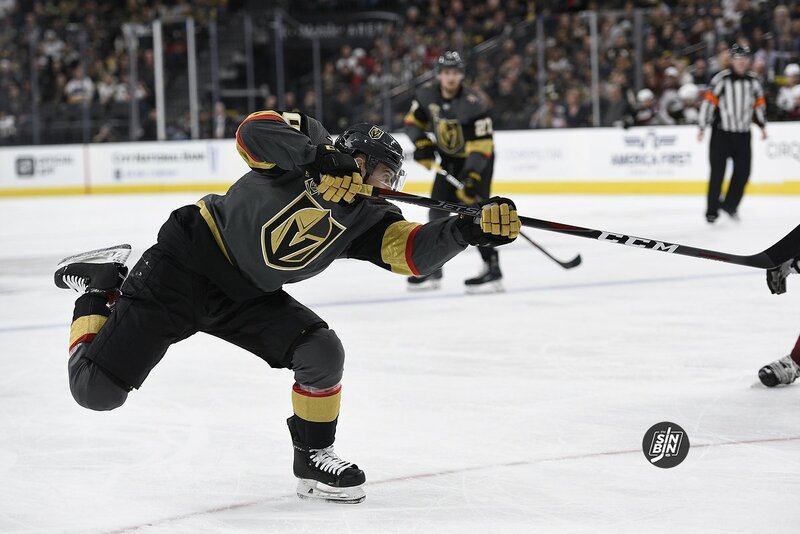 There were a lot of reasons many believe Vegas would be good at home, but not many of them involved a rabid hockey-crazed fan base that can’t get enough. Las Vegas has that, and pretty much every person reading this has been a part of it. Pat yourself on the backs people, part of this start is because of you. This post will be updated throughout the day as we cover what is sure to be one of the most historic nights in professional sports history. 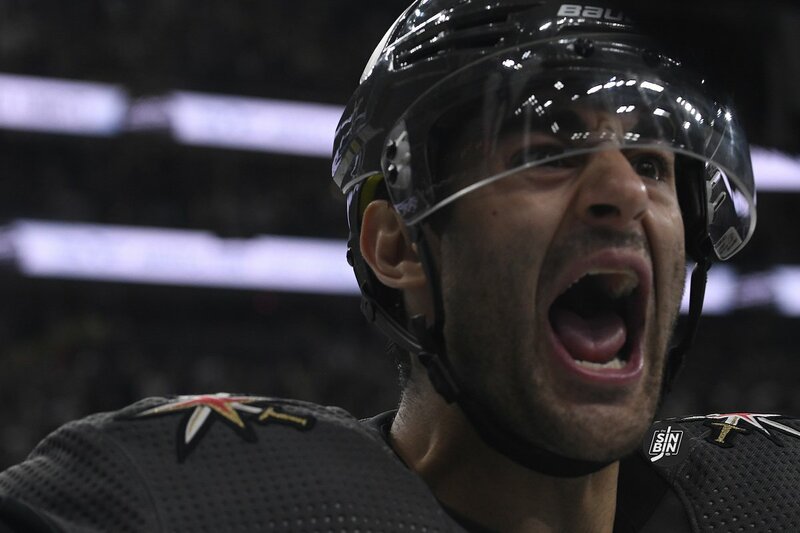 The Vegas Golden Knights will play the Arizona Coyotes in front of a sold-out crowd at T-Mobile Arena. Prior to the game the organization will honor the victims, families, and first responders of last weekend’s tragedy before playing the first major professional sports game as the home team for Las Vegas. We will be covering everything that goes on throughout the day including the Gold Carpet, the March to the Arena, the pre-game ceremonies, the game, postgame interviews, and then head over to Bailiwick at The Orleans for the official SinBin.vegas after party. Click through and continue to reload for pictures, videos, quotes, tweets, and so much more from this unbelievable night. 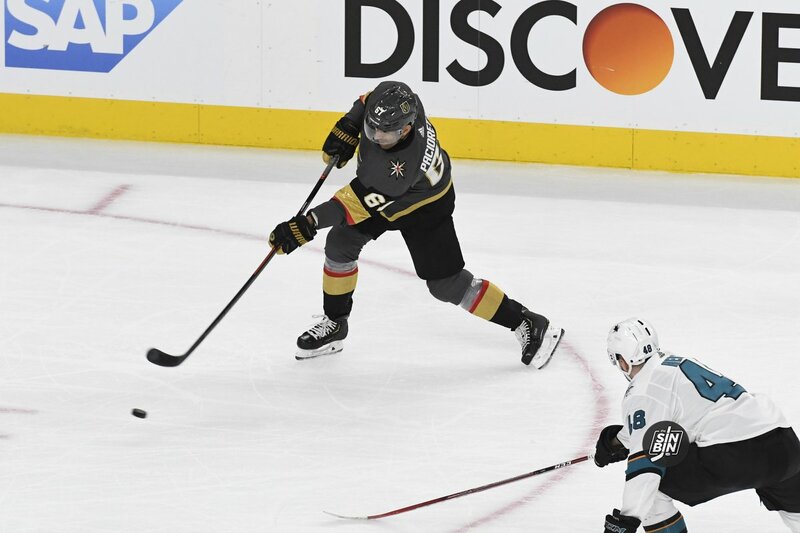 Early in the third period with the score is tied, the Golden Knights quickly reset the play after the puck was dumped out of the zone. They caught the Kings on a line change and the puck sat right in front of the Los Angeles bench. Players were jumping on and off the ice and a King going off touched the puck as he attempted to get off the ice. It was a rather clear “too many men” penalty, but it went uncalled. It’s a preseason game, and the play was completely unaffected, but the T-Mobile Arena crowd was not ready to let it go unnoticed, and while they were screaming at the refs, they were also sending a message to the hockey world, this may be a new team to hockey, but these are not new fans. Throughout the entire game, there were noticeable cheers or groans at points of a hockey game where only diehard hockey fans would know to cheer. I’m talking moments like a questionable hybrid icing call, an excellent keep in the zone right on top of the blue line, a pass through the slot that was just too late, or a 2017 preseason slash that had T-Mobile Arena screaming curse words before the ref made the announcement. 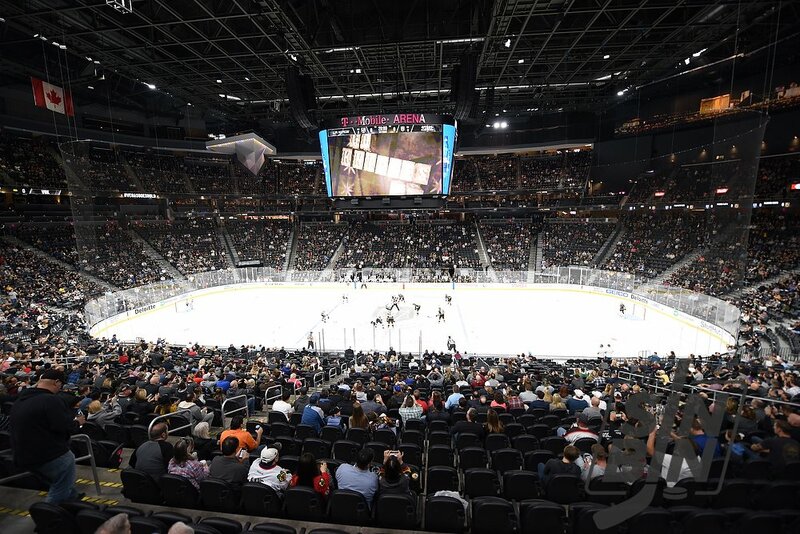 There were 17,101 fans announced at the first preseason home game in Golden Knights history, and while the expectation was for a slightly baffled crowd waiting for moments like goals, fights, and big hits, the Vegas crowd delivered just the opposite. It was a hockey crowd and an educated one at that. Hockey is an easy game to understand on the surface, but with the speed of play and the nuances in the rules, it takes some time to really understand how to cheer for a game. In many past expansion arena, they would explain rules, make ridiculous announcements, and really go above and beyond to “teach the game.” None of that nonsense was necessary at T-Mobile Arena last night. It’s only one game, and a preseason game at that, but if last night was any indication, Vegas already knows the game.